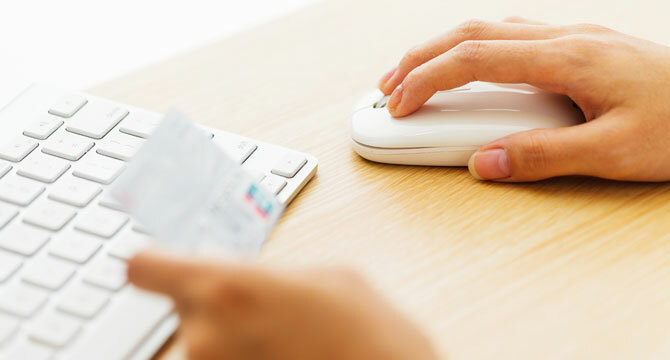 What Price Will Retailers Charge You Online? When online retailing first went mainstream, one of the best things it offered was an end to the need to drive from store to store to compare products and prices. Just a few quick clicks and shoppers knew if they had a dud or a deal on their hands. While the shopping experience improved, so did the technology. Now retailers know who visits their sites, where they came from, what items they perused in the past, and what device is being used to browse the virtual aisles. All of that information allows businesses to tailor their product offerings and prices to each individual shopper -- and not always to the consumer's advantage. Yes, you may be paying more than your neighbor for the same products from the same store. In fact, your neighbor may be getting presented with different products than those promoted to you. Online retailers use consumer data to determine product offerings and price points in a number of ways. A recent article in The Wall Street Journal showed how Staples and Home Depot present different prices for identical products based on the consumer's ZIP code. Those who lived more than 20 miles from a Staples competitor were served higher prices more frequently (67 percent of the time) than those who lived within 20 miles of a rival (who saw higher prices just 12 percent of the time). Presumably, the longer the drive to a competing store, the less likely a shopper was to go out of the way for a better price. In another article on the topic, the Journal pointed out that after Orbitz learned that Mac users spend more on hotels, the online travel company started to respond to their queries by presenting them with costlier options than Windows users were served. Some consumers are concerned that this is only the beginning of the trend. Amazon.com users will have long since noticed the company presenting them with recommendations based on their past purchases and searches. Now, there are concerns that businesses will start snooping even further to try to determine a person's financial situation (say, by the brand of computer being used, or the ZIP code you're shopping from) and basing the price of products on their perceived wealth. 1. Get a rough idea of where you live by associating your device's unique IP address with your physical location. 2. Detect what kind of device you're using to access their websites by noting the "User Agent String" attached to each Web-enabled device. 3. Track the purchases you make on their website. For example, your Amazon.com account keeps a record of the purchases you've made. 4. Record what you've searched for on their websites by loading cookies onto your computer when you visit their websites. In addition to documenting how many times you've visited their websites, some cookies can track which links you've clicked on. In addition to using cookies, businesses can monitor consumers' search queries by associating your searches with your user account, or even by associating your query terms with your IP address. 5. Purchase information from third parties about consumers' past purchases and Internet searches. Together, these methods provide businesses with a powerful tool for determining which of their products you might be interested in -- and how much you might be willing to pay for them. Some consumer advocates argue that these pricing strategies are bad for consumers because it's nearly impossible for them to tell when, or why, they are being offered different deals than other consumers. Also, the Journal notes that those receiving discounts through Staples tended to have higher incomes than those who didn't, which raises concerns of discriminatory pricing. On the other hand, forcing companies to cease these practices could result in an overall reduction in the number of discounts. For example, Staples' alleged practice of offering lower prices to consumers living closer to its competitors is likely an attempt to use discounts to compete more effectively in areas dense with stores offering similar products. If Staples couldn't use that strategy, it's possible that all consumers would be forced to pay the higher price.